Moving out of the family home – that giant step into adulthood – is never easy for anyone. For those living with autism, however, the challenges and fears surrounding this life stage can be overwhelming, not just for them, but for their families as well. While many efforts have been made to support this transition, this important rite of passage is difficult to achieve without the right supports and services. There is no turnkey fix; no one-size-fits-all approach; no easy answer. Unencumbered, creative, and radically obtainable thinking is needed to create alternative housing and support services (“supports”). Autism Speaks, the world's leading autism science and advocacy organization, is sponsoring the Autism Speaks House to Home Prize to bring about these breakthroughs. With the power of your ideas, we can enable an entire segment of our population to achieve independence and self-actualization. Autism Spectrum Disorder (ASD) and autism are both general terms for a group of complex disorders of brain development. Currently, more than 3 million individuals in the US are living with Autism Spectrum Disorder, and government statistics indicate that ASD diagnoses are increasing 10 to 17 percent annually. The majority of those currently diagnosed with ASD are under the age of 18, but 500,000 of these individuals will be entering adulthood over the next ten years, and the number of adults living with autism will continue to grow from there. Currently, 81% of adults with autism live with their parents. As parents grow older they want what all parents want for their children – to see them be able to create a life of their own. Yet homes and residential supports that meet the needs of adults with autism, while simultaneously providing the opportunity for independence and self-actualization, are in very short supply. Organizations and alliances are dedicated to making the search for housing and community living more fruitful. However, there is a severe lack of options to meet escalating demand. Many people with autism need some level of support to live as independently as possible. The scope of necessary supports is vast and highly individualized. Housing “solutions” encompass more than a physical place to live; a true housing solution is inseparable from the need for assistance in several important aspects of life. Housing and support services that meet the needs of each individual with autism can be powerful enablers of employability, integration with the local community, and the ability to carry out productive daily activities. It is also a foundation for an individual’s wellbeing, safety, fulfillment as a human, and means to thrive. One of the few options for providing quality care is a group home. A group home shared with a small number of other people (with or without autism), and integrated into a local community, is the primary and nearly exclusive model of housing available. Group homes and similar variants have been successful but have many limiting factors. These drawbacks make them unobtainable for the vast majority. High cost: Permanent (lifelong) domiciles are among the most expensive housing solutions for anyone. Time: A long time is required for custom design, construction, and retrofit. Supports: Use of a set of permanent (career long), specifically trained caregivers, which are in short supply, and are also expensive to pay for over a person’s lifetime. Although this is clearly the reference point, holding to the existing “ideal” housing has resulted in less perfect but potentially viable solutions being overlooked. Special considerations such as safety, stability, and accessibility are very important, but may be met in unique ways. The new ‘best’ housing solutions are likely to be flexible, configurable, accessible, and accommodate changing, evolving needs and preferences of a person with autism as they progress through life. Viable alternatives will undoubtedly involve tradeoffs – in number of roommates, proximity to transit or family, continuity, location, size of home, or other factors. Each tradeoff equals a new alternative. The breakthroughs sought are “belief buster” solutions that may include unthinkable options, such as different types of caregivers, new types of caregivers, shared services, services provided for short periods of time, housing that is not in the same city as family, or others. By opening up thinking around what we believe to be the “standard,” a barrage of new, freeing, unconventional, ingenious, practical, or stupidly simple solutions is bound to be unleashed. It is the implementation of these new ideas which gives them future value. Uber: Transportation. A solution to solve taxi horrors that people thought were inescapable. Yelp: We never thought we’d rely on the opinions of people we will never know, but we got over it. LinkedIn: A person’s LinkedIn profile can reliably be “verified.” Without government involvement. Amazon.com: The new standard way to buy anything from electronics to breakfast cereal. Air BnB: We are now willing to stay with strangers, because they have space available. Autism Speaks is reaching out to you, the problem-solver community, to develop revolutionary solutions that empower adults with ASD to live as independently as possible while remaining connected to a larger community. This breakthrough must include the supports necessary to safely live outside of the family home, and it may come in the form of technology, architecture design, strategic partnerships, community services, new business models, or any combination of these or countless other ideas. 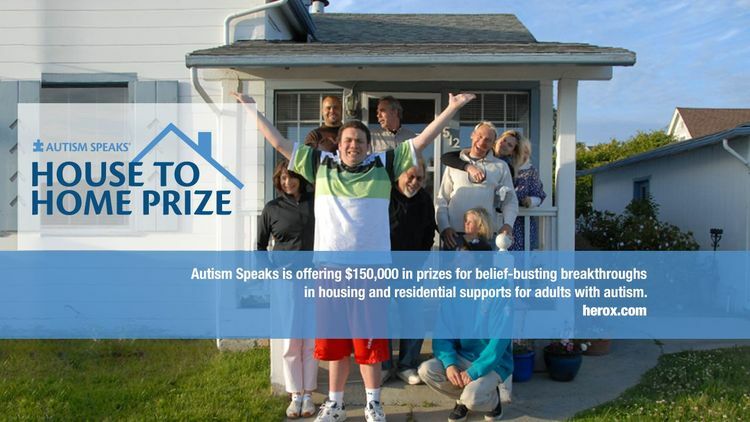 Note that the Prize includes all forms of housing and supports that could meet at least some of the requirements for people with autism. Collaboration is encouraged to create single entries that include complimentary and partial options. The Prize will be judged on best overall solutions submitted. The judging panel will be looking for belief-busting ideas that are resourceful, inspiring, simple, collaborative, and/or transformative. These alternatives are intended to be implemented as a pilot program, evaluated, then adjusted or improved upon, but submissions for this Prize need only be innovative solutions in idea form; nothing needs to be built or implemented in order to qualify for the Prize. The competition is your canvas. Entrants may submit written proposals, photos, drawings, comparative examples, business plan outlines, and/or other digital media. For each entry you make, there is a limit of 10 pages of text, not including supporting materials. Paper size must be 8.5 by 11 inches. Minimum margins are one inch. Font must be minimum 12 pt, single-spaced (text in tables and figures may be as small as 9 pt). Entries must be submitted in the form of a single PDF document (10 MB maximum). Embedded hyperlinks to external content, such as videos or animations (maximum two minutes duration recommended) are allowed, however, there is no guarantee that judges will view external content. Entrants are asked to focus their submission only on the proposed solution, rather than providing background on autism. Judges will assess the quality and viability of each entry based on these criteria: Clear, Concise, and Compelling. Judging will be identical for each of the three autism needs categories (24/7 support, daily support, and weekly support). Judging in each category will be relative to the needs of individuals in these categories. 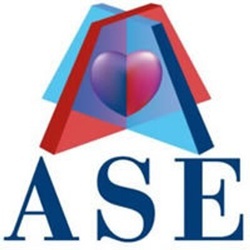 Entries may include but are not limited to: Ways to provide caregiver services or ensure the quality of services; Means to accomplish the task or need; Leverage of existing resources in a new way for people with autism. The quality of life created for each individual with autism, including the customizability of the solution for their preferences, as well as the customizability for their health needs. The likelihood of gaining new knowledge. Judges will consider the newness and creativity of solution, as well as how different it is from solutions known or recognized today. The practicality or viability of pilot implementation for testing in 12 months. Implementation will be judged on a pilot viability basis, not scalability. The goal of this category is to accelerate the process of learning, and move toward additional implementation beyond the Prize. A panel that includes people with autism, thought leaders in the field, industry experts, and parents of children/adults living with autism will conduct the judging. Judges will have the option to split a prize purse ($50,000 USD) from any one category into up to 3 prizes, each of which is innovative in solving a specific element of housing or supports. Click the “Watch the Challenge” button above to be notified of any updates. Click the “Start Here” button above to register to compete in the challenge. Read the FAQ to get answers to commonly-asked questions. The FAQ will be updated throughout the duration of the challenge, so check back often for new information. Share this challenge with your friends and family or anyone who might be interested in being part of the next great breakthrough in the ASD community. You can use the social media buttons beneath the challenge image above to share this page. Use the Comments section above to tell us what you think of the challenge or to ask any questions. The Prize is open to all individuals, age 18 or older, private teams, public teams, and collegiate teams. Teams may originate from any country. Submissions must be made in English. All prize-related communication will be in English. No specific qualifications or expertise in the field of housing or autism are required. Prize organizers encourage outside individuals and non-expert teams to compete and propose new solutions. To be sure these ideas are given due consideration, the judging panel will include individuals who are not subject matter experts in autism. To be eligible to compete, you must comply with all the terms of the Prize as defined in the Challenge-Specific Agreement. Submissions must be made online (only), via upload to the HeroX.com website. All uploads must be in PDF format. All innovators and teams must be registered prior to submitting an entry. Submissions must be received on or before March 1, 2016 at 11:59 pm EST. No late submissions will be accepted. Based on the winning criteria, 3 prizes will be awarded for a total prize of $50,000 USD in each of the three prize categories. In the case of a tie, the winner(s) will be selected based on the highest votes from the Judges. The determination of the winners will be made by a group of people including thought leaders, influencers, and people with unique insight for autism housing needs. Choice in housing is an important component of success, and individuals with autism themselves will be represented and have a voice in judging. As importantly, the Judging Panel will also include Judges who have expertise in potential enablers such as technology, innovation, or customer service, but who have no background or experience related to autism. The intent of including these individuals is to proliferate alternate ideas and set new industry expectations—both of which will move the field forward. By participating in the Prize, each competitor agrees to submit only their original idea. Any indication of "copying" amongst competitors is grounds for disqualification. Questions? Please reach out to and we'll get back to you! Prize Guidelines are subject to change. Registered competitors will receive notification when changes are made, however, we highly encourage you to visit the Prize page often to review updates. Autism Speaks is the world’s leading autism science and advocacy organization. It is dedicated to funding research into the causes, prevention, treatments and a cure for autism; increasing awareness of autism spectrum disorders; and advocating for the needs of individuals with autism and their families. Autism Speaks was founded in February 2005 by Suzanne and Bob Wright, the grandparents of a child with autism. Mr. Wright is the former vice chairman of General Electric and chief executive officer of NBC and NBC Universal. Since its inception, Autism Speaks has committed more than $525 million to its mission, the majority in science and medical research. Each year, Walk Now for Autism Speaks events are held in more than 100 cities across North America. On the global front, Autism Speaks has established partnerships in more than 60 countries on five continents to foster international research, services and awareness. To learn more about Autism Speaks, please visit AutismSpeaks.org.